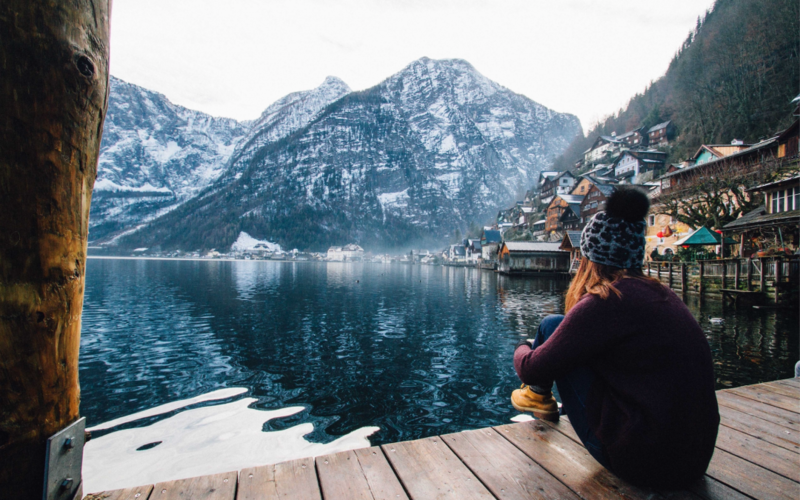 Welcome to December! With the new year right around the corner, I’m hoping the market can benefit from some holiday cheer in the weeks to come. And after a positive end to November, there are finally more stocks starting to set up under the surface. 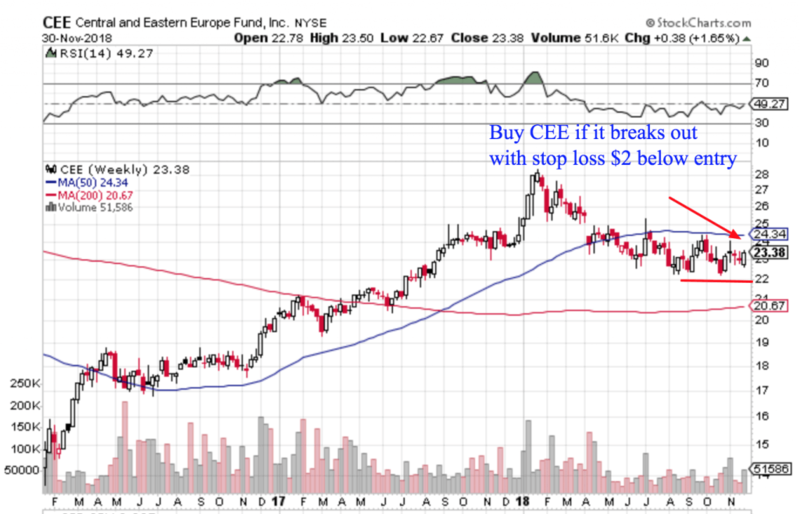 Now, let’s quickly recap the trading action of the past week, and then take a closer look at some individual stock charts that look like they might have breakout potential. As you can see, buyers were actually able to recoup all the losses we saw last week. And zooming into the daily timeframe, you can see price has bounced all the way back to it’s 200-day moving average. 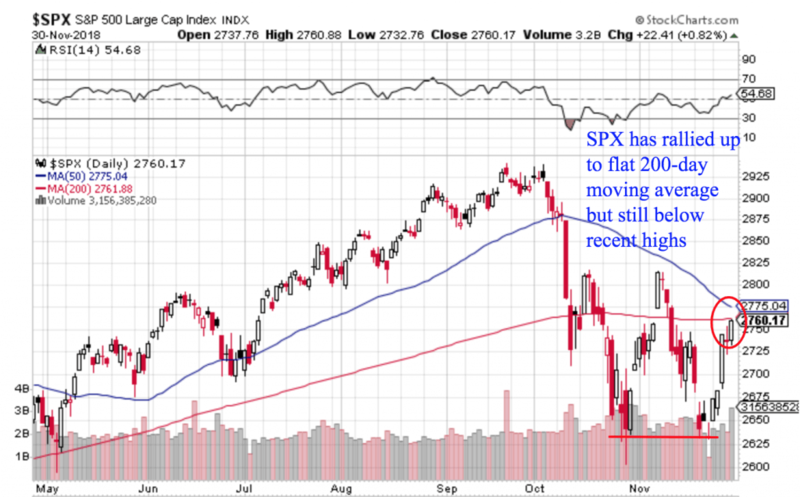 So looking ahead to December, I think the question is whether or not this is just a big oversold bounce that will lead to a higher high. Or, is this the end of this correction and the start of a year-end rally? The one obvious unknown is how the market reacts to news out of the G-20 meeting this week. It’s always tough when there are binary events like this. But if buyers can continue to bid up prices Monday morning, I suspect we might be out of the woods. 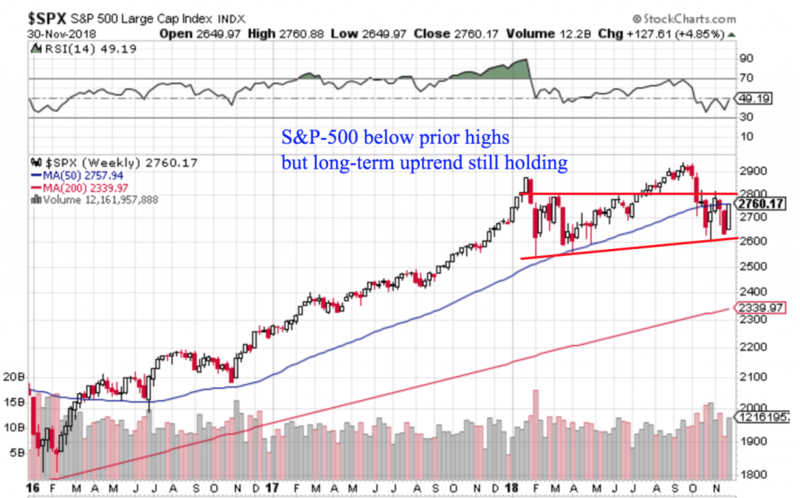 With the market putting in a strong performance last week, and the long-term uptrend still looking like it’s holding, I’m a little more optimistic than I have been the last few months. So assuming Monday’s reaction to any G-20 news is positive, I think the ideas below could continue running. 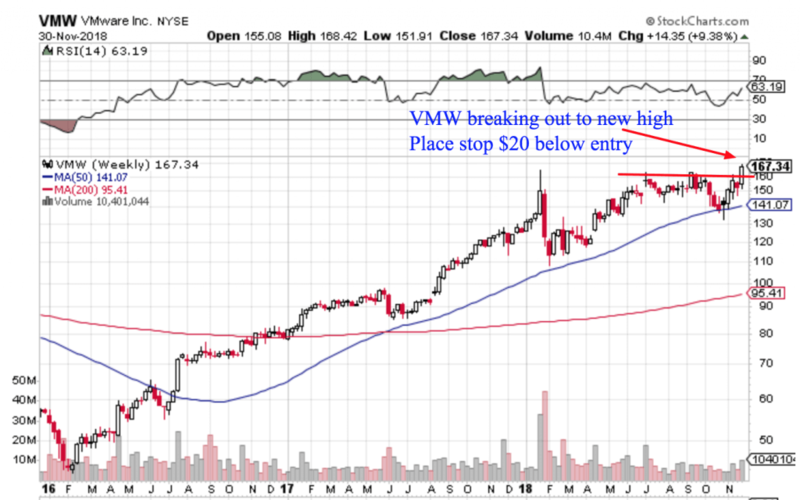 So the first chart I want to show you this afternoon is VMWare (VMW). 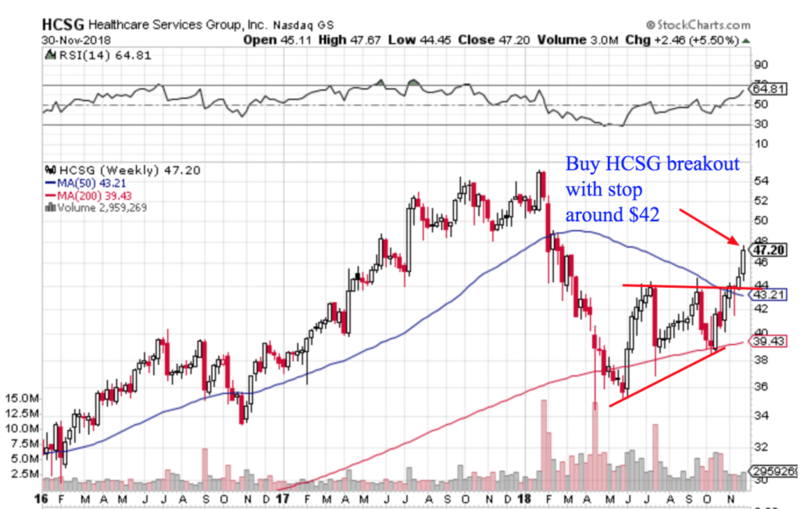 This isn’t one of the most popular tech stocks these days, but the chart sure has my attention. 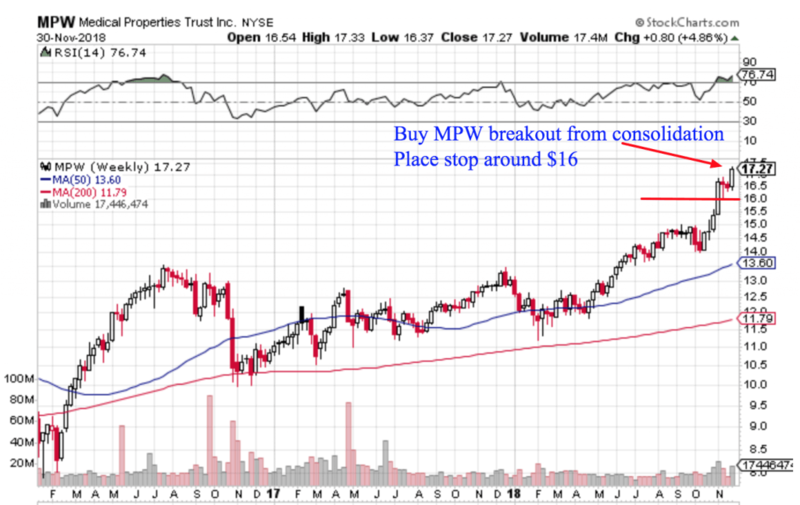 Not only is the stock at 52-week highs, it also put in a strong weekly close on Friday. So if the market can keep following through this week, I’m optimistic VWM can get in on the fun now that it’s in blue sky territory. In times of market weakness, I tend to focus on the strongest names with the hope they’ll outperform once the market gets moving again. 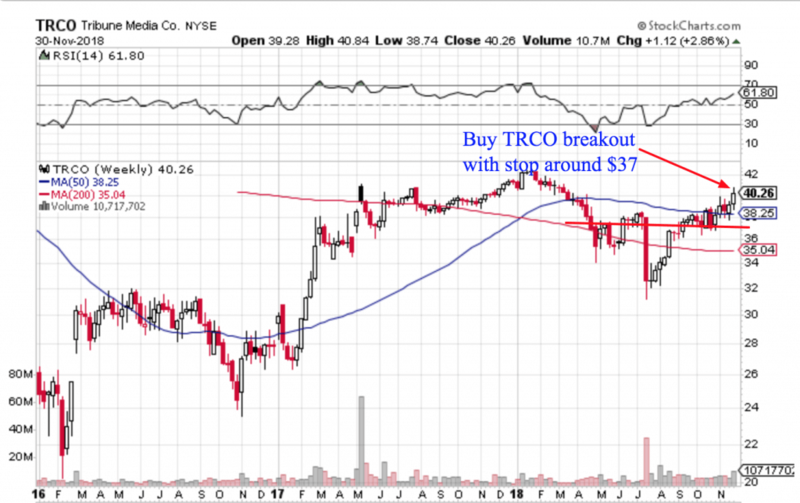 TRCO looks like it might be a candidate, especially since the stock isn’t too extended. The other possible tailwind here is the overall strength in the REIT and healthcare sectors. Being at the intersection of the two, this one might just keep on trending. Okay, I also want to share an idea of a new stock I picked up this week, which also happened to be in the healthcare space. My hope here is more top-down strength can keep the good times rolling. Over the last few weeks, emerging markets have started to stabilize a little bit after a relentless downtrend all year. And with China-trade headline risk in the spotlight, I thought this group of stocks was starting to look appealing. So if this can get trending in the week ahead I’ll likely to get some exposure.